What were those spooky objects hovering above Bremerton? 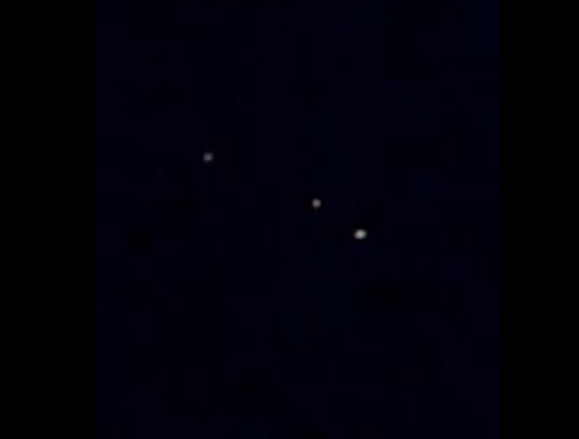 What on earth were those objects floating over Oyster Bay early Sept. 29? Laurie Rector would sure like to know. She’s seen some weird stuff — having grown up near an Air Force base — but nothing like the bright lights she saw not long after midnight last Monday. She pointed her cell phone at the sky and filmed them for more than five minutes. You can watch the footage, which has garnered more than 1,400 views, below. In an effort to get to the bottom of this mystery, I called Silvia Klatman, a spokeswoman with Naval Base Kitsap. But she said the Navy had no such activities in the sky that night. We’ve hypothesized what it might be in the newsroom as well. Lanterns of some kind? Drones? Aliens? Your guess is as good as mine. On a final note, I have heard that “Roswell” a TV series on the WB, just celebrated its 15th anniversary. Coincidence?